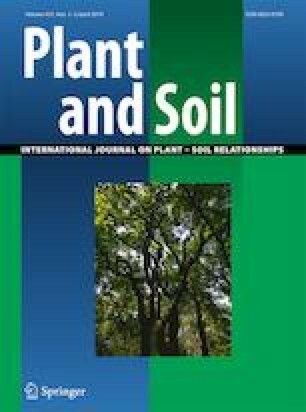 This study investigated the effect of method of blending and spreading topsoil-waste rock (as dictated by waste dump position), rock addition, topsoil source and seed burial on seedling emergence from seeds broadcast onto mine restoration sites. Seed of 10 species were surface sown onto a waste rock dump plateau with six cover treatments spread by loose tipping; three topsoil source treatments (sand dunes, sandplains and stony hills) x two waste rock treatments (topsoil mixed and without waste rock). Emergence was greater on the waste dump plateau than slopes, where very few seedlings emerged. On the waste dump plateau, the addition of rock to topsoil increased seedling emergence >2.5-fold. Soil surface temperatures were cooler and water content at a depth of 2 cm was higher in topsoil mixed with rock than without rock. Higher seedling emergence with the addition of rock to topsoil was due to the creation of microsites where sub-soil moisture was retained for longer durations. Lack of emergence on waste dump slopes was attributed to relatively low surface roughness that reflected operational issues associated with different methods of spreading and mixing topsoil with rock on plateau versus on slopes. The online version of this article ( https://doi.org/10.1007/s11104-019-04060-7) contains supplementary material, which is available to authorized users. Dr. Deanna Rokich provided support for part of the research period. Staff at Newcrest Mining Limited provided administrative and logistical support. Research was funded in part by Newcrest Mining Limited. PG was supported by an Australian Postgraduate Award. KWD is supported by the Australian Government through the Australian Research Council (ARC) Industrial Transformation Training Centre for Mine Site Restoration (Project Number ICI150100041).